My nails have been such a mess these days, I just can't keep them looking decent while crafting, every bit of paint seems to be magically attracted to my fingernails and it's really hard take it of. Anyway, I haven't done a nail art on my nails since the starry sky nail diy, and wanted to make something cute with polka dots using the dotted tool I got a few days ago. 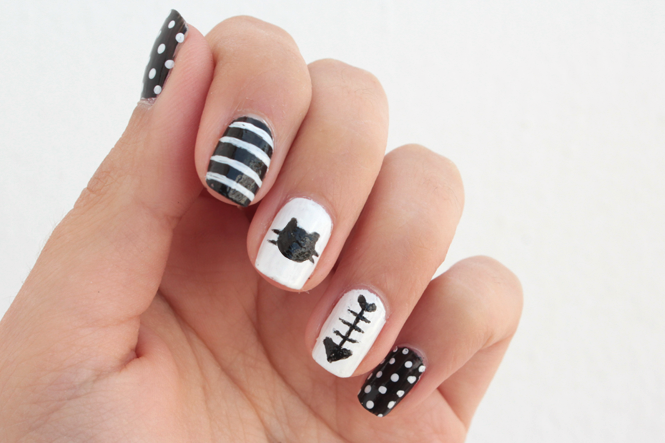 So cats, polka dots and stripes seemed to make the perfect combination. 1- Start by painting one or two coats of black and white nail polish on your nails. 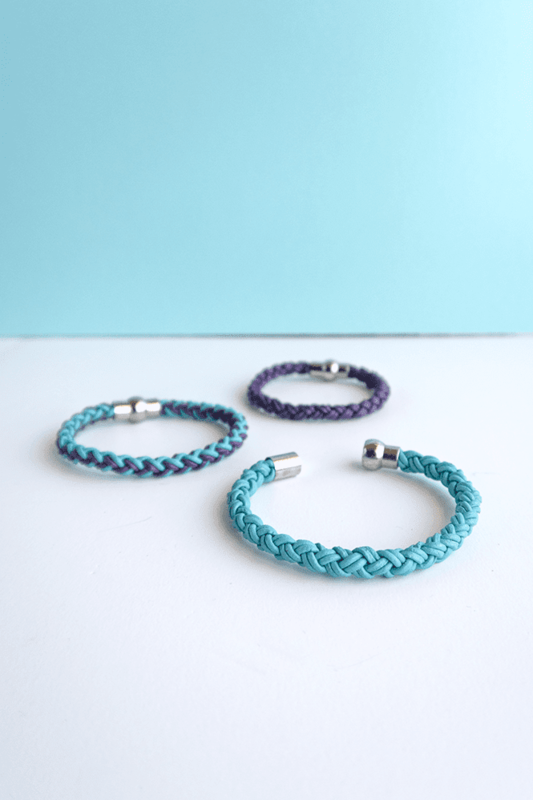 2- Use the dotting tool or the pin to make the dots on your little finger and thumb. 3 -To paint the stripes you can use a nail stripping brush or tape. 4- To paint the fishbone, use a small nail art brush and start by painting the top and the bottom, this way it will be easier to paint the rest of the shape. 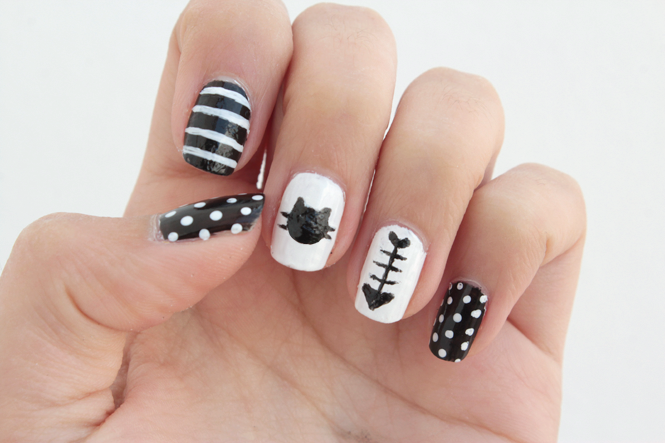 5- With the same nail art brush, paint the cat head with the whiskers. And it's done, if you want, paint a top coat to help protect your design. 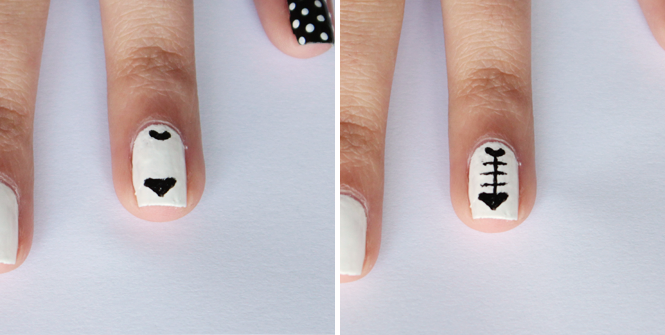 Do you have any nail art diy requests? Maybe this would also look good in color, what color would you use?